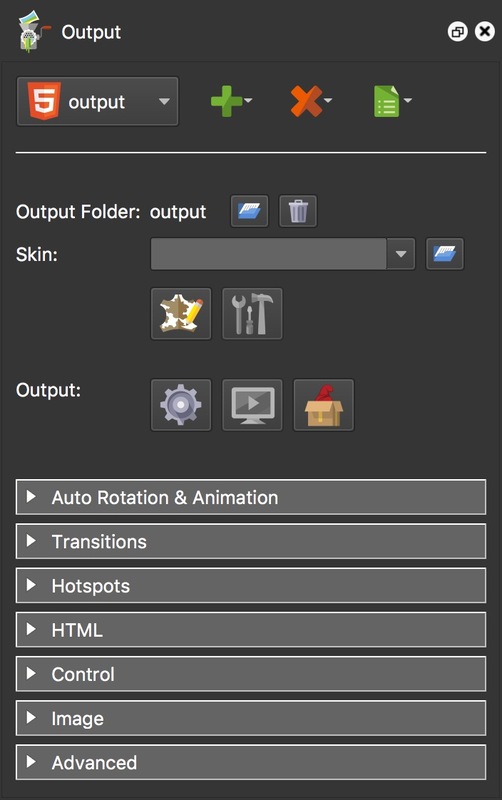 The Output panel is where you not only add output formats but also where you export your panoramas. From Template – Select this to pick from a list of saved templates. 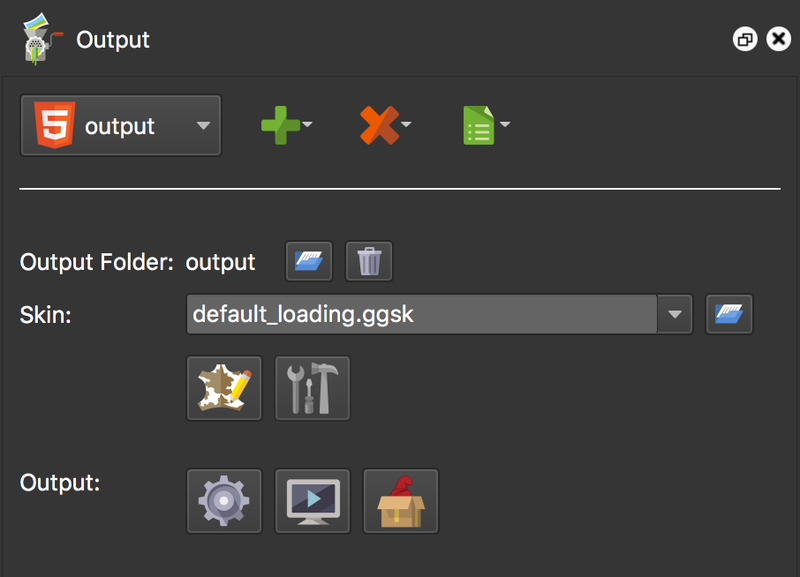 Once you choose an output format, the rest of the panel will be populated with the following options. Not all output formats will have the same options or settings. Delete – This is the red X next to the green plus sign. Click to delete the current output or a template. To delete a template, hover your mouse over Delete Template. Choose from the list of templates to delete one. Save as Template – Save the current output (and its settings) as a template that can be used again or Replace a template. To save the current output as a template, choose, Save as New Template. In the window that pops up, give the template a name. To specify or see where the output templates are located, go to the Files tab in the Pano2VR settings/preferences. Right-click the text field to view their location. Click, Choose to change the location.